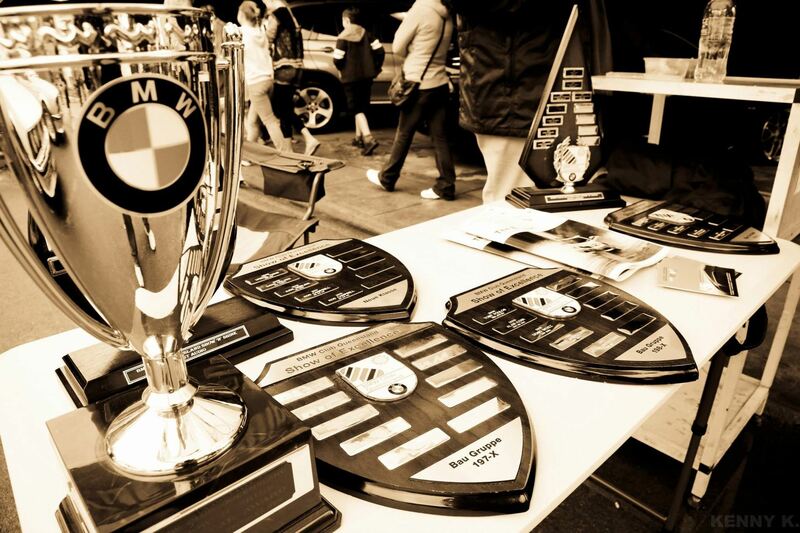 Show of Excellence is BMWCQ's premier display event of the year. This is where club members detail, clean, shine and polish every piece of their pride and joy and put her/him on display. So as you can see your car does not have to be 100 percent to be in the running for a trophy. Of course it all culminates to award the overall winner for the day. Now we are a club based on driving our cars, so we take that into account when judging. A weighting system is used, kind of like a handicap in golf. So if your car is a garage queen it will be judged harder than if it were a daily driver. All are on an even playing field. For the ladies that are into their rides and like to keep them shined and looking immaculate we have a ladies klasse trophy just for you. Now the winners are announced at the clubs Awards & Celebrations Night to be held later in August. You can if you wish participate in the display and not be judged, You will however obtain yourself prime parking for the event.